But when, on a romantic weekend trip to Sonoma, Hannah is spontaneously offered a marketing job at a family-run winery and doesn't immediately refuse, the couple's meticulously planned forever threatens to come crashing down. And then Hannah impulsively does the unthinkable - she takes a leap of faith. Miriam Parker is the Associate Publisher of Ecco. She has an MFA in Creative Writing from UNC Wilmington and a BA in English from Columbia University. She lives in Brooklyn with her spaniel, Leopold Bloom. 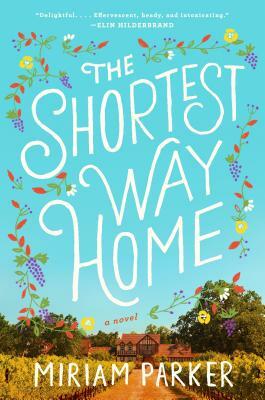 The Shortest Way Home is her first novel.